The phenomenal success of Rush and the fanaticism they inspire (remember all those Sounds letters signed 'Priests of Syrinx'?) tends to make you put them in the same age range of Zep or Sabbath. In fact, they're comparatively young in supergroup terms; just over seven years old. The juggernaut got off to a slow start, but achieved breakneck speed after a few years. Reeling up the Seventies, they went through change after change and improvement after improvement, both commercially and creatively. When you consider how little many HM bands change over the years (for some, decades even) those seven or so years look like a frantic race, from the Zep-influenced debut, through sword 'n' sorcery, sci-fi allegories, arty concept rock and now, some of the hardest highbrow raunch to conquer spineless American radio programming. Why weren't they told to give up and go back to their day jobs with that first album, Rush? Anyone can transcribe a Page solo and play it themselves, but Rush didn't simply acknowledge a debt to Zep, they improved on the influence. Even today, when Alex's teasing, spooling guitar moves into the stereo mix and Geddy yelps his debut to the world on 'Finding My Way', it has the same sort of classic' feel that makes something like 'Communication Breakdown' still listenable after a decade or more. It simply rose above mere imitation; the outrageous slow gunfire guitar on 'Need Some Love' could have taught Zep something back then, ditto the powerchord rush on 'What You're Doing'. But behind those pyrotechnics, Alex and Geddy were showing the first signs of an emerging writing talent of considerable ability. Neil Peart had, in fact, joined Rush just before the release of the debut, and a few weeks before their first tour. Poor health and even poorer financial health had brought about the departure of drummer John Rutsey. Peart had come back to Canada after time spent in London gigging, playing sessions and, in one moment of destitution, selling 'Your Name Here'-type posters in Carnaby St. (I often wonder how many present-day Rush fans bought posters from the man who would one day become their idol). In mid-July, 1974, they played their first gig, opening for Uriah Heep before 18,000 people in Pittsburgh. By the time they took the material for Fly By Night into Toronto Sound-studios in January '75, they were already on the move, accelerating away from that first album. You don't need to be told that the sessions produced such classics as 'By-Tor & The Snow Dog'. This can almost be seen as the first 'proper' Rush album. It saw the establishment of Peart's lyric style - light years from the typical honky blues rip-offs on the debut - and sowed the seeds of their later complex studio productions. 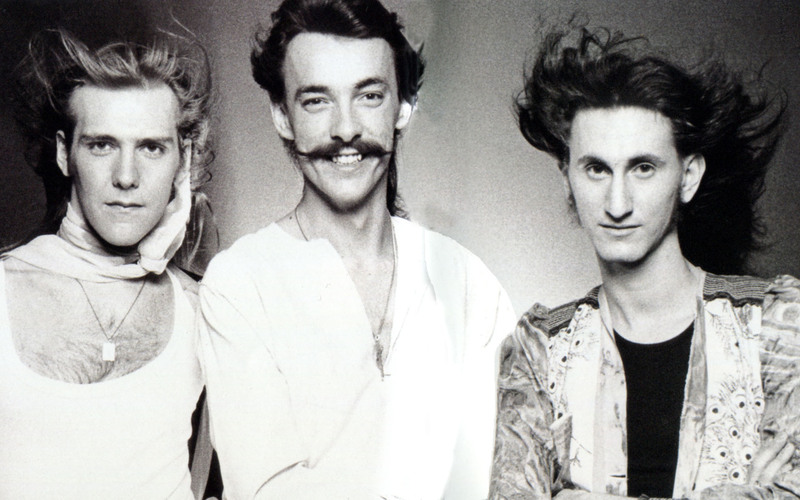 From the horror-movie guitar effects during the fight in 'Snow Dog' to the plaintively fragile 'Rivendell', it showed that this new young band (Geddy was still only 21) wasn't scared of taking risks with a style whose rules had been firmly set by giants like Cream, Zep et al. They could thunder and wail on the likes of 'Anthem' and 'Fly By Night', paint dainty pictures with 'Rivendell' and - nudge nudge - include purely atmospheric sounds on the epic 'By-Tor'. Neil says that it was here that Canada, and America, started paying grudging attention to them. Fly By Night won the best-new-band Juno Award in Canada and went Gold there, too. Alas, the ignorant radio and press still denied the existence of this fast-blooming homegrown talent. As still happens, they built up their following by tours of mindboggling length and energy. There's no need for sympathy, though, Neil swears they loved life on the road. Confident after the relative success of Fly By Night, they were back in Toronto Sound by July (!) recording Caress of Steel. Perhaps this haste was something of a mistake; it certainly gave us the likes of 'Bastille Day', 'Necromancer' and the side-long 'Fountains Of Lamneth', but the album sold poorly, causing then to rename their follow-up tour 'The Down The Tubes Tour' (only "half-jokingly," Neil recalls) and bringing label pressure down on the band (more of which later). It was certainly a sophisticated step on from Fly By Night. Interestingly, if you lend an ear to the tricky riff from 'In The Valley', part one of 'Lamneth', it owes more to Genesis' 'Watcher Of The Skies' than something like 'Dazed And Confused'. Peart's lyrics were maturing beyond the comic-strip aspects of Fly By Night. The whole opus was the most ambitious to date; the songs were creating atmospheres for Peart's lyrics as well as doing their darndest to rattle the listener' s brains. Historians might say that this is where Peart's words started going wrong, addressing themselves to grander things than most rock lyrics should, but I'd say that was and is their salvation. The 'Down The Tubes Tour' took them on a depressing trek through smaller venues than before (almost as though the rock biz was punishing them) and Mercury Records were pressing them to produce more commercial music than 'Lamneth'. "A lot of people were wishing we would make the first album over again five or six times in a row," Neil told a Toronto magazine. Their response to this pressure was the furious, apocalyptic '2112'. "It was us saying, 'Leave me Alone!'" Neil told that magazine. Like 'Anthem' off Fly By Night, it was inspired by the plot to Ayn Rand's novel, Anthem. 2112's' theme of individual revolt against corrupt authority (of any political shade) was to become a recurring theme in Neil's writing, but the fact that 2112 had been inspired by the "genius" of Ayn Rand got them into hot water. The album came out in 1976, amid the first rumbles of punk, Rock Against Racism and so on. Media 'radicals' here pronounced them crypto-fascists (even the most casual look at the lyrics shows that the hero is rebelling against the regime). Rand promoted an ideal of benign capitalism, now seen as a contradiction in terms, and is said to have lost her marbles later on. Neil currently thinks she went over the top politically. If he was a Brit, he'd probably join the SDP. Still, the storyline to 'Anthem' was a valid source, and it gave us one of Rush's most awesome concussive operas to date. If your spine doesn't turn to rubber at the raging, blasting climax, see a doctor. After the lauded live double, All The World's A Stage (including a full-length version of '2112'), they came to Britain - well, Wales - to record A Farewell To Kings at Rockfield. The title is almost a message to their fans, leaving the sword 'n' sorcery behind and moving on to the sci-fi allegories, philosophical musings and inner space adventures realised on Hemispheres. Musically, it noted the arrival of Geddy's synthesisers and Neil's use of orchestral percussion. Oddly, Kings seems to see them cutting loose from the blues-fathered rock of their earlier albums, or at least refining it beyond those early albums. It has a distinctly contemporary feel owing as much to the symphonic rock of Yes and others as to their heavy metal godfathers. It can rock with a vengeance (check 'Xanadu' or the spacey 'Cygnus X-1'), but has a very grand, epic air. A further sign of their eagerness to experiment was the lengthy opening to 'Cygnus'; a whizzing synth intro'ing HM rifferama is nothing new, but this goes on so long it could be Stockhausen - yet they think nothing of mating it with the swingeing monster riffing that ensues. 1978's Hemispheres was hailed by someone not too far from the editor's chair of this esteemed journal as either a masterpiece or a mistake. This was Rush making a stand for their eclecticism - the purposely bizarre exoticism of 'Strangiato', the '2001' drones of 'Cygnus' (accompanied, live, by an animated space movie), the marching semi-acoustic 'Trees'. Perhaps it was their Topographic Oceans - like the Yes album acclaimed as brilliant by some, dismissed as pretentious garbage by others. It certainly had more than enough of that classic stratospheric Rush riffing. Like Neil's remarks about the pressure which produced 2112, it divided Rush fans into two camps; those who wanted them to keep re-writing 2112, and those who were prepared to go exploring with the band. It also marked the end of yet another era for Rush. Up until then, Neil had used science fantasy, space opera, social sci-fi and classical mythology - to convey his ideas. With 1980's Permanent Waves (a little poetic contradiction there) he was writing straight from the here and now. Only the moody, gothic 'Jacob's Ladder' referred back to their earlier styles; lyrically, it just paints a static picture. The lengthy 'Natural Science' uses ideas from science and nature, but to talk about present day, real-life things. Its musical style is sophisticated and modern, and gave them their first transatlantic hit with 'Spirit of Radio'. To an outsider, much hard rock is obviously linked to the early Seventies, but this was modern day music, high-class headbanging for the Eighties. Yet the raw energy of their music wasn't sacrificed in favour of sophistication; the whooshing, giddy riff that bridges 'Tide Pools' and 'Hyperspace' can proudly stand next to any of the famous licks from their HM days. That line was continued on this year's Moving Pictures, with its brilliant, elaborate riddle of a sleeve. Even more than on Permanent Waves, Neil's lyrics are talking about topical concerns. 'Red Barchetta' is set in the future, but is talking about obstructive bureaucracy. 'Witch Hunt' reads like a description of a Medieval occult painting, but is about modern-day bigotry (the US's KKK/Moral Majority?). The album's highlight, 'Camera Eye' is a look at society in the manner of the late American novelist, John Dos Passos (if you wanna check him out, the hefty 'USA' trilogy in Penguin is his most famous work). Dos Passos' style was to record everything with his 'camera eye'; street signs, strange characters, newspaper headlines, radio announcements, snippets of conversation heard from passers-by and the like to build a complete image of what was being written about. That's to explain the collage of noises at the beginning of this look at two cities; London and New York. While Permanent Waves was a drastic diversion from the style of Hemispheres (which many thought was leading them towards indulgent art-rock), it also sounded lighter (or should that be brighter? ); this was very much its heavier relative. Maybe they conspired with long-time producer Terry Brown, for the whole album has a very hard, raunchy edge to it. The gritty 'Tom Sawyer', 'Red Barchetta's' headlong swerves and the HM riffola gallery 'YYZ' (the lettering on Toronto Airport luggage tags) all have dark power driving them along. And just to remind you that the last thing they intend doing is standing still, they end the album with 'Vital Signs', a bopping reggae-rock crossover. No news of another studio album has yet crossed the Atlantic, although a live double to be released to coincide with their October dates here. 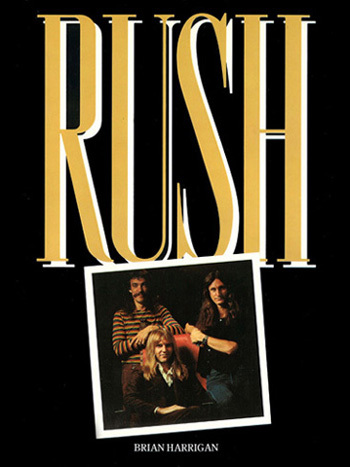 And print freaks will like to know that after Deaf Barton's long essay, 'The Rush Story', Omnibus Books should be publishing a full-length Rush biography, by journalist Brian Harrigan, around that time. This has been no blow-by-blow life-story - the book should give you that in greater detail when it comes out. But hopefully it gives pointers and explanations of what (might) lie at the heart of the Rush phenomenon. They're no straightforward hard rock band, nor should they ever be. Too much rock gives it all to you on a plate, which is a pretty boring and lazy way of making and listening to music. Rush make an effort, and expect you to make an effort too, so anyone who whinges about "intellectual" lyrics or arty ambitions in the music might as well go back to 'Paranoid'. Rush are saying that there's much more to enjoy in the music and lyrics than what's already there. If you can 't appreciate that, you might as well go deaf, dumb and blind. Their adventurousness is what makes Rush such an important and inspiring band.